As you all know from the 29th of January Replay automatically captures scheduled content including Lectures, Practicals, Seminars and Workshops in teaching spaces equipped with automatic recording equipment. 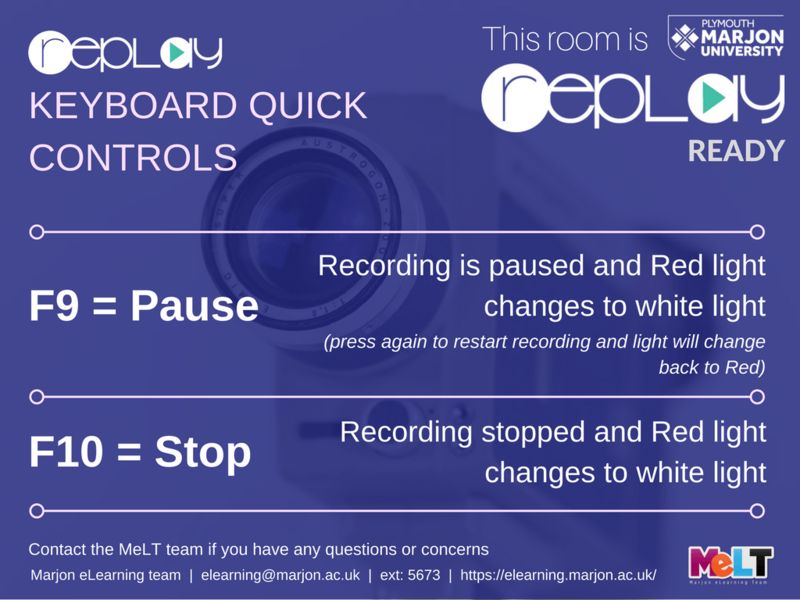 Teaching rooms with Replay will have posters on the doors to remind staff and students, but you can also quickly control the recording by using the keyboard quick controls as shown below. If you have any concerns about a recording, please get in touch with the team. In addition please see the guides below for information on the editing options and the REPLAY system. This entry was posted in DIT hint of the week and tagged panopto, replay. Bookmark the permalink.